Sprint will soon unveil a plan targeted at people aged 55 years and up, a source familiar with the matter has revealed to Android Police. The plan will rival T-Mobile's recent and identically named Unlimited 55+ plan, which allows individuals who are 55 or older to get two unlimited lines for just $70 — something that would cost $120 on T-Mobile's regular ONE plan. Sprint's offering is better than a regular plan, and it now matches T-Mobile's pricing, even though T-Mobile initially offered two lines for just $60. Sprint's Unlimited 55+ plan comes with some nice perks. In addition to unlimited talk, text, and data, the plan includes unlimited mobile hotpot and Sprint's Global Roaming service, which lets users text and use data at 2G speeds internationally and for no additional charge in 185 countries. Of course, and as is usual with all 'unlimited' plans these days, there are also a handful of limits. For one, data deprioritization can occur during congestion, and there are a few speed caps based on type of content: video streams in 480p, music streaming is capped at 500 kbps, and gaming streams can only go up to 5 Mbps. Additionally, mobile hotspot usage can only reach 3G speeds, and international roaming data usage is limited to 100 MB at 2G speeds. While Sprint's new plan is certainly better than its usual plan, which offers one line for $60 and two lines for $100, it doesn't seem to beat T-Mobile's Unlimited 55+ in almost any measurable way. T-Mobile's plan was initially $10 cheaper for 2 lines, but pricing has since increased to $70 to match what Sprint offers, so there's no incentive to switch based on price. Sprint seems to be aware of the fact: in an internal document, Sprint claims their plan saves money over Verizon and AT&T, conspicuously leaving out T-Mobile. T-Mobile's roaming service is arguably a better deal than Sprint's, since it offers unlimited data at 128 kbps instead of 100 MB at 50 kpbs (Sprint's Global roaming is available in more regions, though: 185 compared to T-Mobile's 140+). At the end of the day, this plan likely won't appeal to any T-Mobile customers who are already satisfied with what they already have. However, for customers over 55 who live in an area where Sprint has better coverage than T-Mobile, saving $10 to $30 each month — or more, if they're coming from Verizon or AT&T — will definitely be a welcome deal. As pointed out by one of our readers, T-Mobile has recently increased the price of its two-line plan to $70. This article has been updated to reflect that the pricing of both plans is now equal. Sprint has now made its Unlimited 55+ plan official. Eligible customers can get two lines with unlimited everything for just $35 per user. It should go live on Sprint's site sometime today. 55+ Reasons to Switch to Sprint Now! 55 or older? Celebrate the best time of your life with Sprint’s new Unlimited 55+ plan: $35 per month per line for two lines of unlimited data, talk and text for people who are 55 and up. You can consider that 55+ reasons to join Sprint (NYSE: S) and switch from your current carrier! 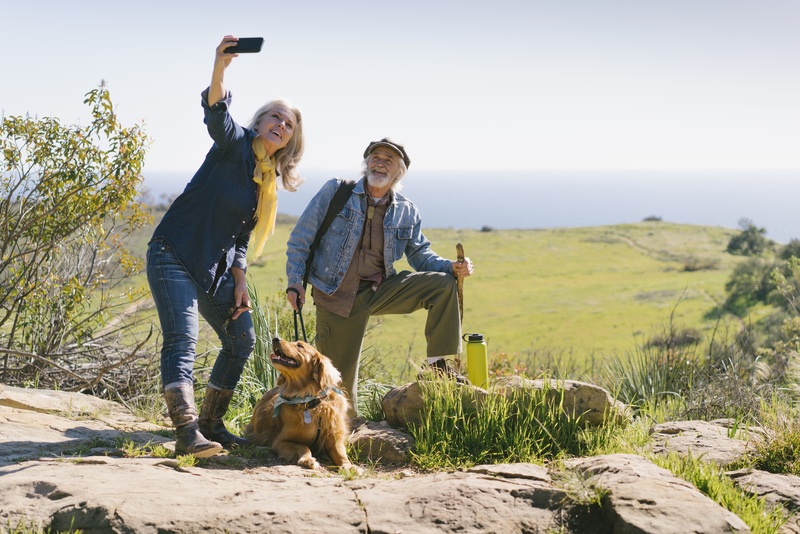 Enjoy your age and benefit from it by signing up for this amazing plan from Sprint. The first line is $50 per month and the second line is an additional $20 per month. With Sprint Global Roaming included, travel worry-free with the industry’s best global roaming package and stay connected with text and basic data for no additional charge in more than 185 worldwide destinations. Unlimited 55+ allows you to keep your devices connected with unlimited mobile hotspot data at 3G speeds. You can stream videos in DVD quality with speeds up to 480p+ resolution, music at up to 500kbps, streaming cloud gaming at up to 2Mbps. This offer is for a limited time only and you’ll need a valid ID so Sprint can make sure you meet the age criteria. "We know customers love unlimited no matter what their age, so we’ve designed a plan with the 55 plus age group in mind," said Roger Solé, chief marketing officer. "If you’re considering which wireless plan to choose, this is the one. Unlimited 55+ gives you unlimited data, talk and text at a great price. Plus, with free global roaming to more than 185 countries, you can cross some international adventures off your bucket list without worrying about high wireless charges." At Sprint, we’ve made it super easy to switch. You can bring, buy or lease your phone to take advantage of this great offer. If you want to go even bigger, you can opt-in for a $10per line per month upgrade and receive 10GB of mobile hotspot2 plus HD streaming with video streams at up to 1080p resolution, music at up to 1.5Mbps, and gaming at up to 8Mbps. If you want to save on your current wireless phone plan and get excellent perks, this is the place! Want more information about how to sign up for Unlimited 55+? Starting May 18, visit www.sprint.com/55plan for more information and visit your local Sprint store to sign up for Unlimited 55+. With Sprint, you’ll save money on your monthly wireless bill and you’ll be on a great network. The company’s investment and the work performed by our network engineers have helped drive a 35 percent increase in Sprint’s national average download speed year-over-year.3 Sprint is also preparing to launch the first 5G mobile network in the U.S in the first half of 2019. Sprint’s Next-Gen Network build includes upgrading cell sites to triband service using 800MHz, 1.9GHz and 2.5GHz, adding thousands of new cell sites to expand coverage, densifying the network with more small cells to increase capacity and speed, and deploying 5G technology. Sprint (NYSE: S) is a communications services company that creates more and better ways to connect its customers to the things they care about most. Sprint served 54.6 million connections as of March 31, 2018, and is widely recognized for developing, engineering and deploying innovative technologies, including the first wireless 4G service from a national carrier in the United States; leading no-contract brands including Virgin Mobile USA, Boost Mobile, and Assurance Wireless; instant national and international push-to-talk capabilities; and a global Tier 1 Internet backbone. Today, Sprint’s legacy of innovation and service continues with an increased investment to dramatically improve coverage, reliability, and speed across its nationwide network and commitment to launching the first 5G mobile network in the U.S. You can learn more and visit Sprint at www.sprint.com orwww.facebook.com/sprint and www.twitter.com/sprint.